Nowadays, subscribing to music services becomes more common. People start using such services as Spotify or Apple Music, thanks to this fact, they don't face a problem of songs duplicates. Still, those who utilize music libraries with the content from different sources, have to remove duplicates by hands, and this issue can rise from time to time. 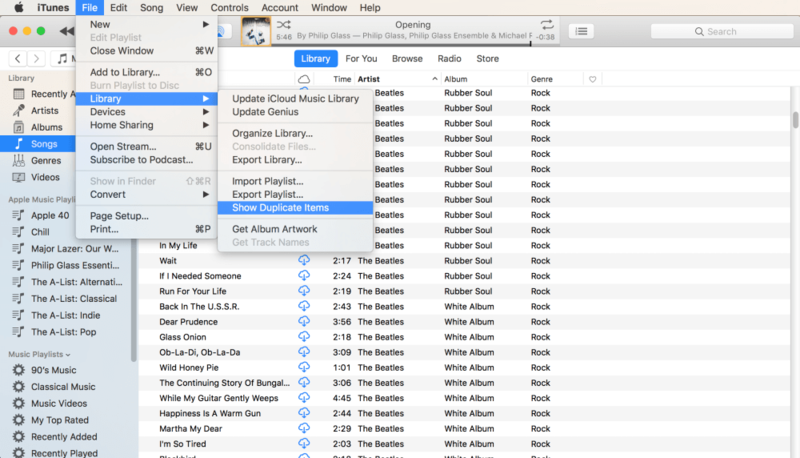 In this article, I'll tell you how to find and remove duplicates from your iTunes music library. There are several options including third-party apps. So, let's start! 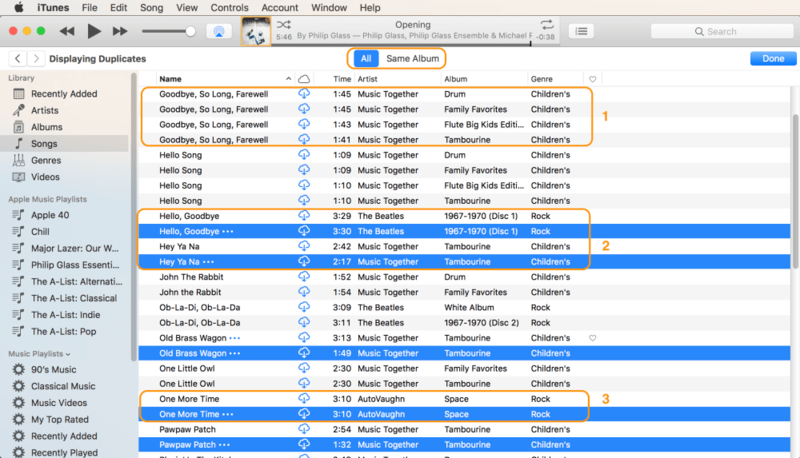 The fastest way to know how many duplicates you have in your iTunes is a built-in feature. It is not the only one and I'll tell you about the others in a moment. Still, we will start with standard options. This one is great for those who have not too many duplicates, as finding dozens of them may take more time and efforts. If you are in such a situation, better skip below and find more optimized methods in my article. As usually, I recommend creating a backup for you not to lose any kind of information. It is always better to spend some minutes on this, and not to regret about lost files in the future. This option may take place every time you want to make some changes to your Mac or remove data. 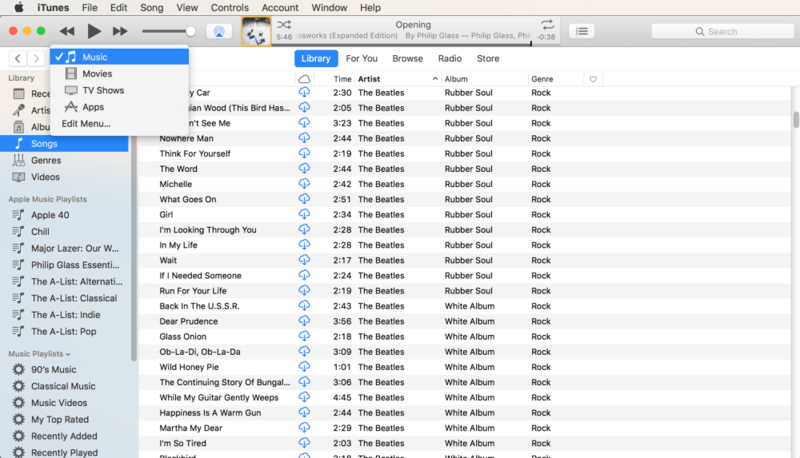 Launch iTunes, ensure you're seeing your Music. If you need to change the type of content, switch it on the left, as it is shown on the picture below. Select 'File', go to 'Library' and choose 'Show duplicate items'. This path is highlighted on my screenshot. Now all the duplicates from your Library are visible. However, I advise you to ensure whether the song and the album are the same and it is really one track. This information can be got from the center of the iTunes window. On my picture below, it is shown that there are 4 duplicates of one song at the top and two copies of other two tracks. Other example shows us the same name, album and artist, but different times. The third example shows a real duplicate. If you have just several duplicates, select those tracks, hold down the Command key, select all of them, press Delete or right click on these files and choose 'Delete from Library'. The confirmation will be needed. Select 'Delete songs'. The pros of this option is that it's quick, among its cons is the fact that it is not the most robust way of removing duplicates comparing to other available features. Especially this is true for users who have armies of duplicates in their iTunes. So, I'll tell you more details about third-party software that will deal with this problem in seconds. First, I'd like to note that this software is free and it won't offer you any in-app purchases. It is simple, easy-to-use, handy and effective. Its functionality can be described as 'drag-and-drop' your folders to the app for checking them for duplicate files. 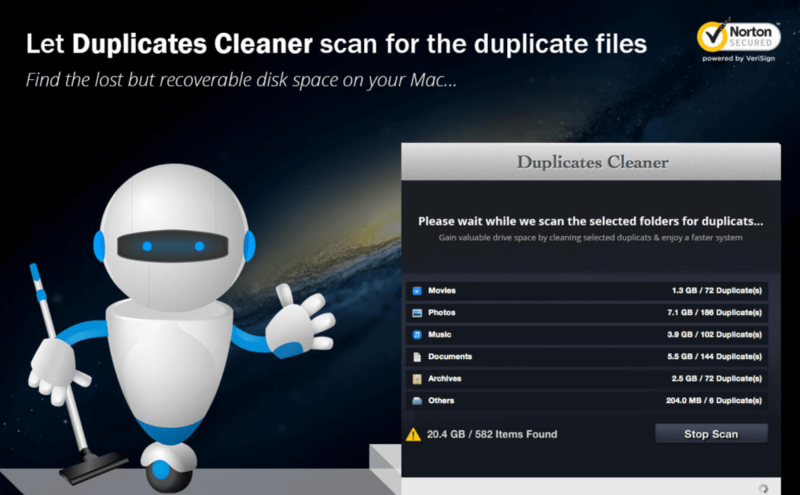 The algorithms of this software keep an eye on true duplicates and ensure that files are fully identical. It can delete them both manually and automatically. By the way, this app has nearly 1K reviews and 4.7 stars from 5 on the App Store. So, you can try how it works. This software is created and developed by the MacPaw company and this is the best choice, if you want to get effective app for not much money. 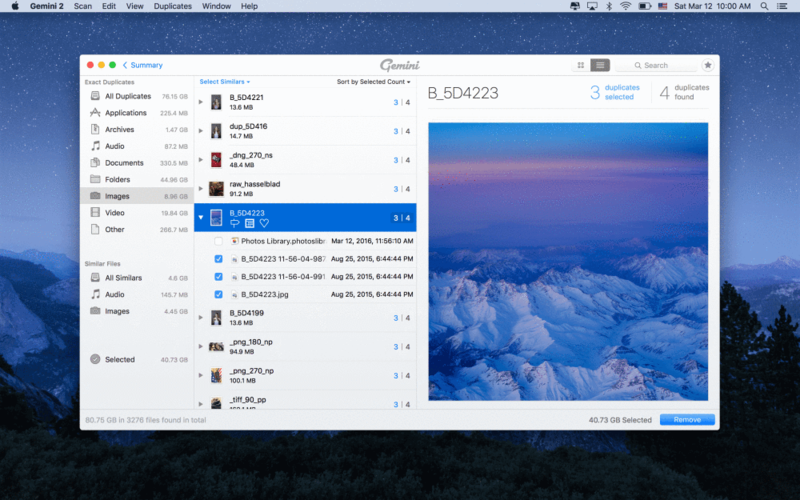 Gemini 2 is created especially for removing duplicates and costs under $20 on the App Store. It has nearly 500 reviews and 4.6 start from 5. However, I think it is so cause people just know about it yet. You can also try how it works by downloading a free trial from the MacPaw official website. 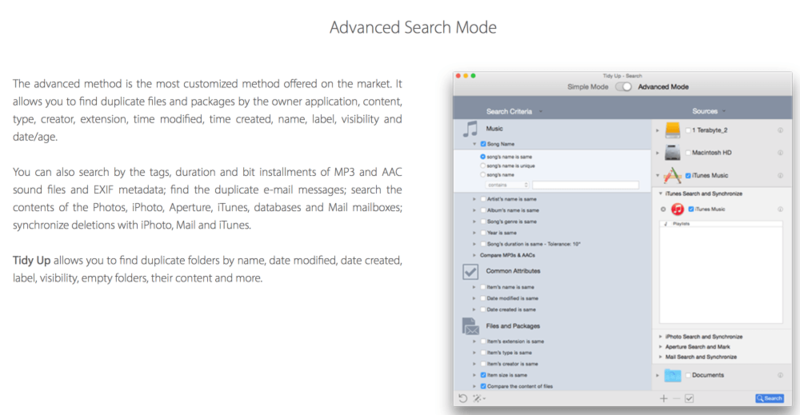 Except music duplicates, this application will help you to find other multimedia files, texts, PDFs and other duplicates on your Mac. It has good-looking and simple interface, so navigating it will be intuitive. For me, Gemini 2 is a great helper that keeps my Mac clean, other way it would be full of a great amount of duplicate tracks. This is the last variant for killing duplicates. Like the previous Gemini 2, it has an intuitive interface and gives you the full control over your files. It costs a bit more than Gemini 2, around $30. For this price, they pretend to be a duplicate killer for experts and professionals, so it may be a great choice too. This is one of the most robust options that are worth purchasing. However, it is no matter whether you decide to utilize built-in features or third-party apps like Gemini 2. The result should be amazing in any case.